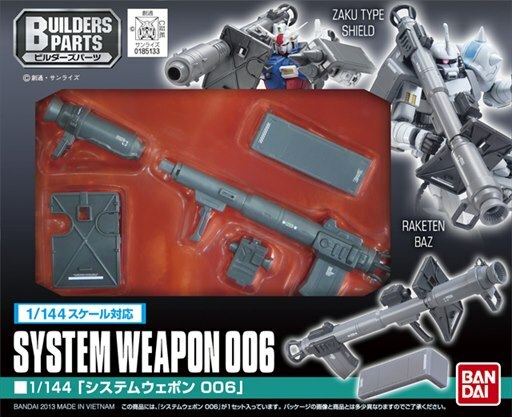 A set of Rateken Buzz, the first bazooka of the "Weapon series", and Zaku Type Shield, that can provide various customization. 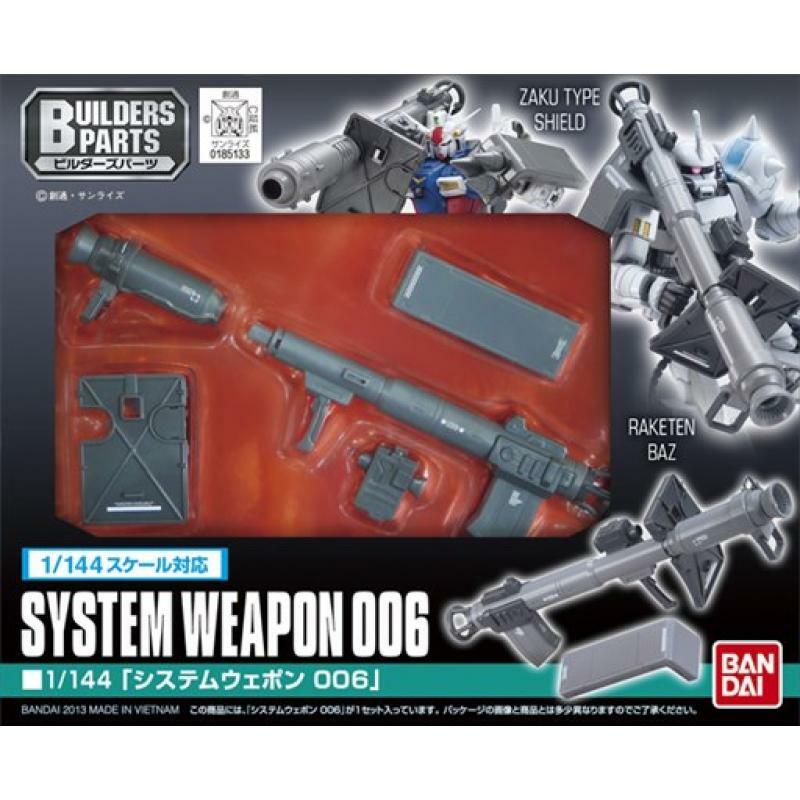 Rateken Buzz can be "Regular Type" or "Barrage Type" by replacing the parts. 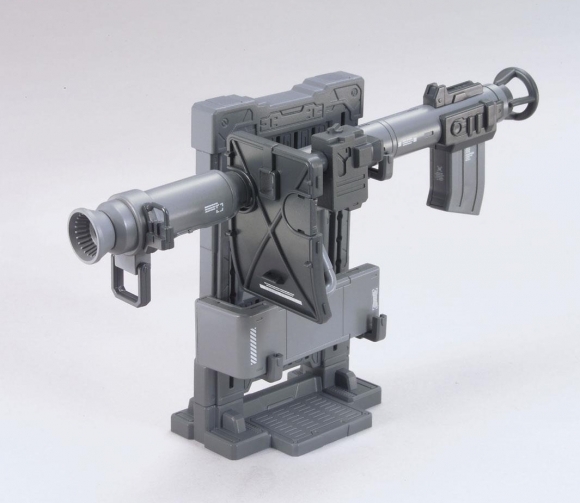 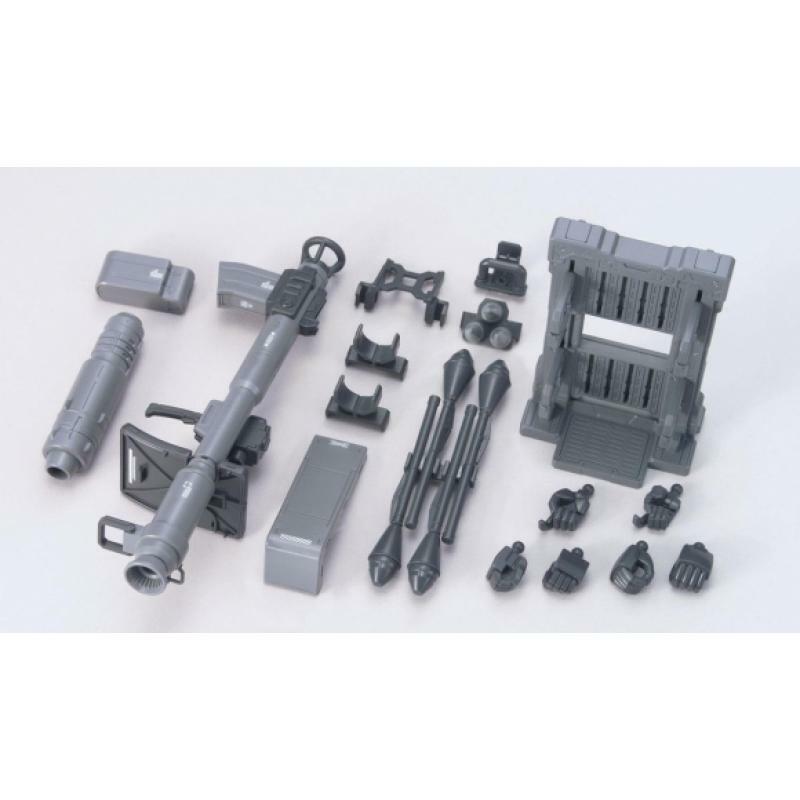 Zaku Type Shield can mount various kinds of weapons such as "Sturm Faust" and "Spike". 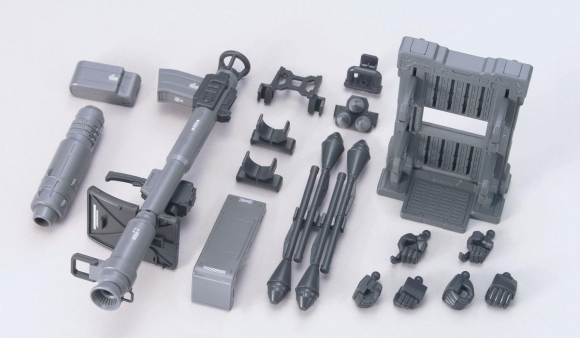 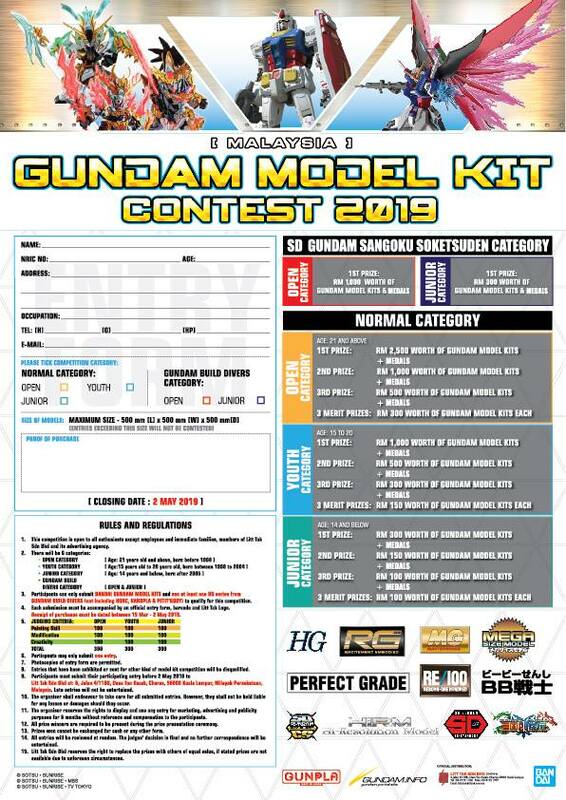 It can be attached to both HG and RG by replacing the parts. 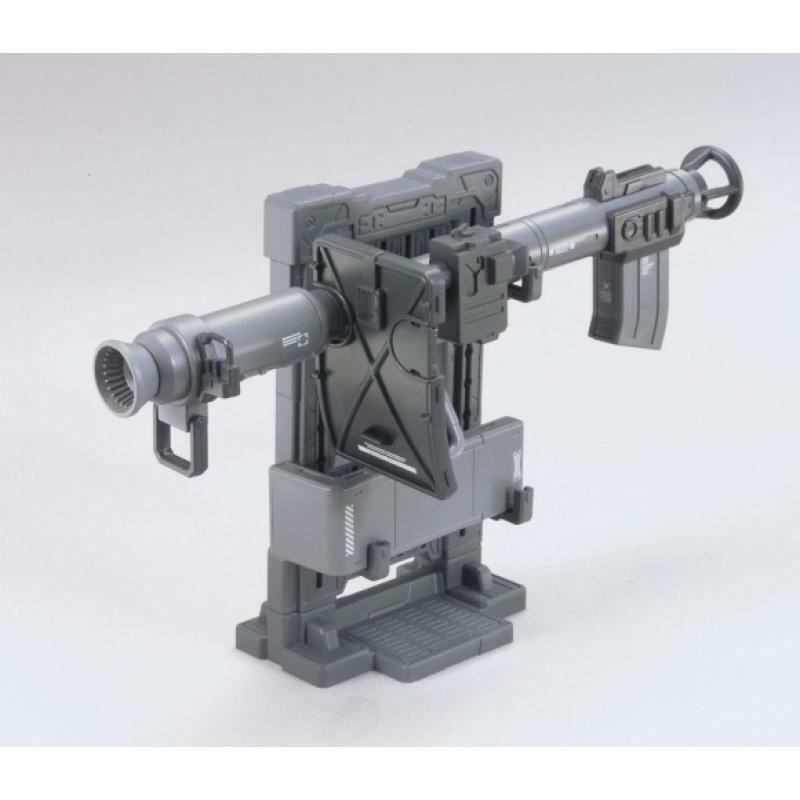 A special rack for weapons is included.